Dressage High Point Junior Rider - awarded to the rider under 18 who has amassed the greatest number of points competing in dressage during the competition year. Dressage High Point Young Rider - awarded to the rider 18-21 who has amassed the highest number of points in dressage during the competition yr.
Dressage High Point Senior Rider - awarded to the rider between 22-49 who has amassed the greatest number of points in dressage during the competition year. Dressage High Point Master Rider - awarded to the rider 50 and over who has amassed the greatest number of points in dressage during the competition year. 21 who has submitted a copy of his/her USEF amateur card to the Points Chair and amassed the greatest number of points in dressage during the competition year. Goes to the horse AND rider who have amassed the greatest number of points in dressage during the competition year. The perpetual trophy was donated in 2009 by Julie Moses in memory of her horse "Spy Games" whose strength, kindness and perseverance touched all who knew him. Awarded in memory of Susan Posner’s mare Tundra. Awarded to the activated mare who has amassed the greatest number of points in dressage during the competition year. Named for the son of Don & Martha Bryant, organizers of the Mumford Horse Trials, and awarded to the rider under the age of 18 who has amassed the the highest number of points in eventing during the competition year. has amassed the highest number of points in eventing during the competition yr.
Named for the son of Joy Bennett. Joy has long been associated with the Covered Bridge Pony Club in Louisville. This trophy is awarded to the rider between 22-49 who has amassed the highest number of points in eventing during the competition year. Named for Helmut Graetz, long time MSEDA member, coach & volunteer. This trophy is awarded to the rider age 50 and over who has amassed the highest number of points in eventing during the competition year. Named in memory of Irene Roechel's horse, Midnight Sam. This trophy is awarded to the activated horse who has amassed the highest number of points in eventing during the competition year. Irene was a founding member of MSEDA. 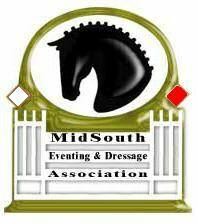 Given to the MSEDA member in good standing who accumulates the highest number of points and is also a member of a recognized Pony Club. It is the responsibility of the member wishing to be considered for the award to notify the points secretary of eligibility. Points begin accumulating upon notification. The Tessie’s Brite Star Trophy - Eventing High Point Adult Amateur Award - Awarded to the rider over age 21 who has submitted a copy of his/her USEF amateur card to the eventing points chair & amassed the greatest number of points competing in eventing during the competition year. The trophy is donated by Lowelle and Paul Messner in honor of Lowelle’s horse Tessie’s Brite Star. Named in memory of Bryn Wilborn's eventing mare, Philosopher. This trophy is awarded to the activated mare who has amassed the highest number of points in eventing during the competition year. The Grasshopper Trophy - High Point MSEDA Off the Track Thoroughbred Named in honor of Megan Moore’s Off the Track Thoroughbred, The Grasshopper. This trophy is awarded to the high point Thoroughbred in the Eventing Division. The horse must be tattooed or have a TIP number and be nominated for eligibility. Given to recognize the effort of outstanding volunteers. The cups are awarded to the 12 individuals with the most volunteer hours worked at MSEDA sanctioned shows.